Whether you are moving from NJ to Denver to be closer to loved ones or to explore than many exciting career opportunities in Colorado, having a professional team of movers on your side can make all the difference in a stress-free transition. Since 1977, BBB-accredited Simonik Moving & Storage has been the most trusted name for affordable household moving services, and our commitment to quality stands out from the crowd of other moving providers. 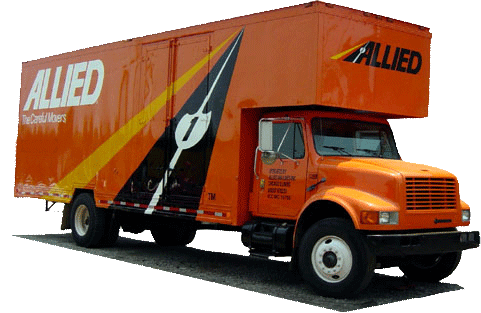 As an agent for award-winning Allied Van Lines, our experienced moving crew is part of a nationwide network of moving and storage professionals that have the skills and resources necessary to handle any size household move—wherever in the United States you need to go! When moving to Denver from New Jersey, you need to be able to trust that your moving provider has the experience needed to handle all the details of your household relocation. At Simonik, you can count on our professional experience, and we even offer free, in-home estimates to get you started. Throughout the moving process, a personal Relocation Coordinator will also work directly with you to keep your move on-schedule and answer any questions that may come up along the way. To give you the space you need to get settled after moving from New Jersey to Denver, Simonik offers affordable short and long-term storage services that can be customized to your unique needs. All your household items will be carefully packed in secure long-distance shipping containers, so they will be ready to go when it’s time for you to receive them at your new home in Denver. As a ProMover member of the American Moving and Storage Association, Simonik is proud to serve residents throughout North and Central Jersey, including Hunterdon, Mercer, Middlesex, Monmouth, Morris and Somerset counties. Our award-winning team is also a past recipient of the ‘Mover of the Year’ award from the New Jersey Warehousemen & Movers Association, and our professional affiliations ensure that we are always kept apprised of any special requirements associated with moving from NJ to Denver. There’s never been a better time to take the first step in your NJ to Denver moving project! Just give Simonik Moving & Storage a call today to learn more about our premier services, or submit our easy online form to request your free, no-obligation moving estimate.